If tiles are not quite your thing, or the idea of having to re-grout fills you with dread. We have just found the perfect solution. Following a visit to this year’s KBB (Kitchens, bathrooms and bedrooms) exhibition in Birmingham we have found the most amazing product. Nuance Boarding by bushboard. 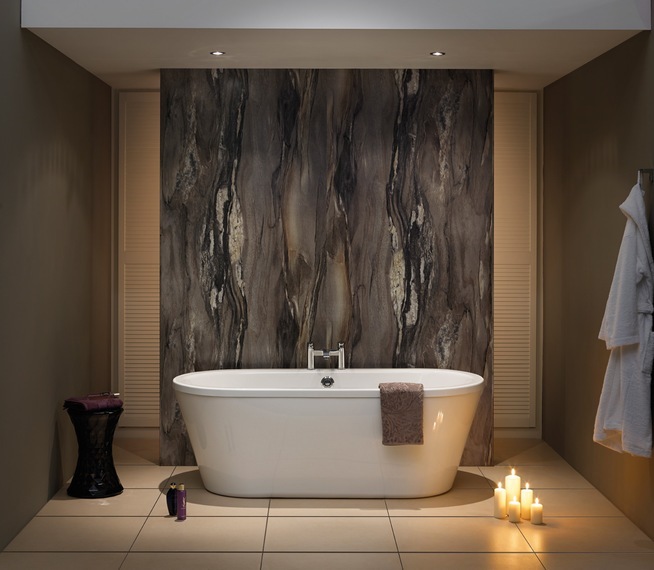 They manufacture shower panels, work tops, bath panels and splashbacks. Nuance boarding is a clean, sophisticated and stylish product. It is the ultimate in shower room boarding. It is 100% waterproof, 11mm thick, no wood composite and no need for aluminium trims, it is available in a variety of colours and gorgeous designs, this is the ultimate in shower panels. It is so good that supply is struggling to meet demand. It is flying off the shelves as quickly as it is made. However, we are lucky enough to have jumped on this from the start and have the sample boards in our boutique bathroom showroom. Why not come in and take a look for yourselves?